One weekend when I was home from college, I attended a barbecue at the house of a former secondary school teacher who was a mentor to me. I said to him that I wanted to learn how to be a good conversationalist. His response was one word, “read”. “Read!” I said, “How is reading going to help me to be good at conversation in a social setting? 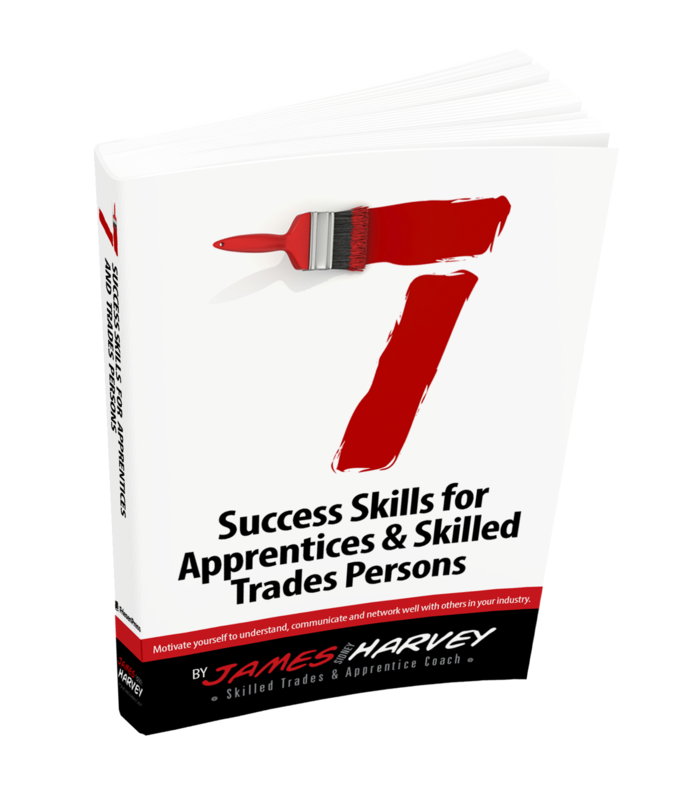 “His response was, “reading newspaper articles, magazines and novels educates you on how other individuals communicate and behave.” – (p.91), 7 Success Skills for Apprentices and Skilled Trades Persons. He was right! And it was from that day on; I saw not only the value in reading but also the powerful impact of learning from others and fostering mentoring relationships. Do you find yourself in a work environment that is no longer stimulating? Do you want to make a career leap but are afraid to take the plunge? A mentor can encourage you away from your comfort zone and provide that motivation to make a change. Mentors often come to mind at the beginning of a career path, but a mentor can provide value throughout a career. In fact, having a mentor can give you that professional edge. Just imagine having someone on your side consistently encouraging you to do more. This person will challenge you, push you to your edge, and inspire you to take the steps to achieve your dreams. When you find the right mentor for you, it will be someone who will invest the time to discover your potential and help bring your career dream to light. In addition, they can become that go to person who not only teaches new skills but also provides support during the transition of a new role. It was the late 80s; and due in part to the economic climate, my choice of trade as a Tool and Die Maker was no longer enough to secure steady, long-term employment. I knew it was time to diversify and it was through retaining strong mentor relationships that I was able to not only discover a gap in the trades but received guidance on how I could fill it. Today, I am a Licensed Tool & Die Maker with Industrial Mechanic / Millwright skills and experience. My niche has become an industrial “Jack of most trade’s licensed in one” who not only gets the job done, but is willing to help train and mentor. It is through developing a strong mentor relationship that you can become the employee or contractor that you want to be. The right mentor will invest the time to discover your potential and help bring your career dream to light. Ultimately, it is an individual that you would like to emulate, and whose experience you can benefit from. If you want to give your career that edge: Get a Mentor. Nurturing a mentoring relationship will allow you to learn from another’s experience, challenge you and provide guidance ensuring that your actions are on the path to achieve your career dream.